Jim Gaffigan is a talented stand-up comedian. Turns out he's a pretty funny author as well. 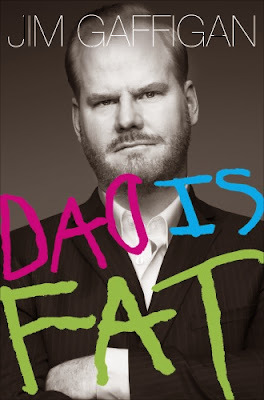 If you're familiar with his comedy, you'll recognize his voice and his humor in his book Dad Is Fat. In the book, he talks about being the parent of five children. In a two bedroom apartment. In New York. As a parent, it's sometimes difficult to find the humor in raising children, but Jim Gaffigan does it exceptionally well with honest, funny, and insightful observations and self-depreciating humor. It's refreshing to get the father's point of view on parenting and it's apparent how much he loves his kids. It's also apparent how much they they drive him nuts and anyone who's a parent will relate! This is a really funny and enjoyable read for anyone who is a parent (even if you don't have five kids) or has spent any time at all around children.